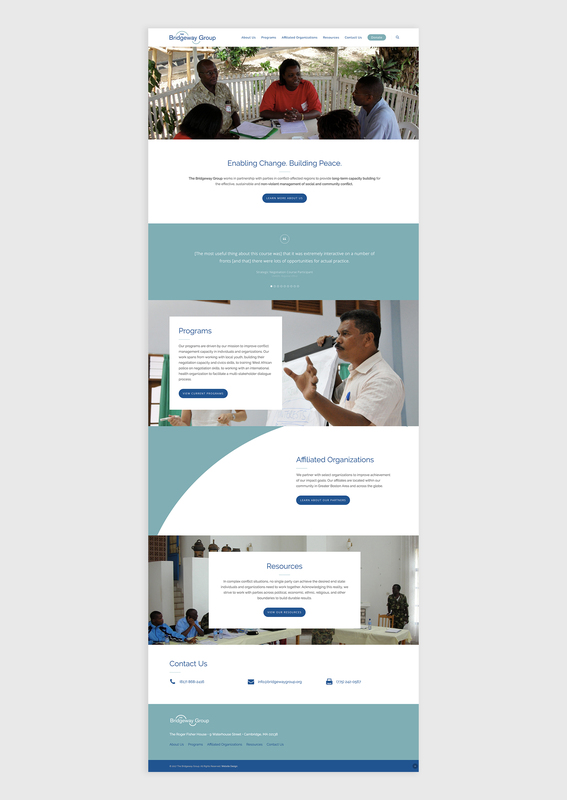 A new website for a non-profit that specializes in peace building. 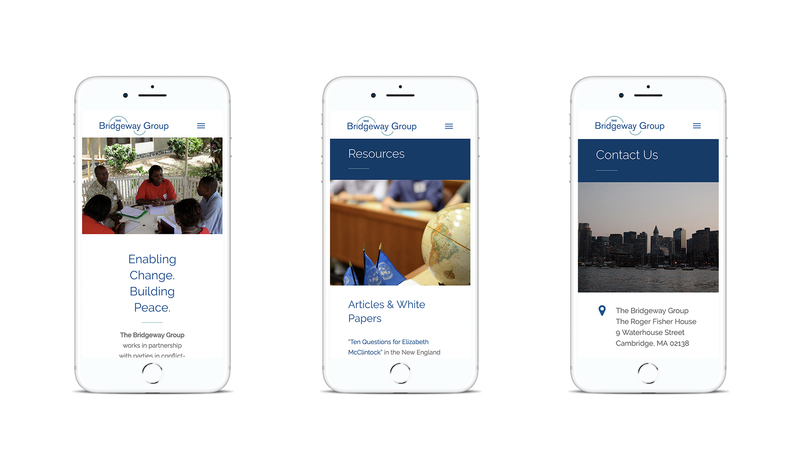 The Bridgeway Group is a non-profit organization that works in partnership with parties in conflict-affected regions to provide long-term capacity building for the effective, sustainable and non-violent management of social and community conflict. 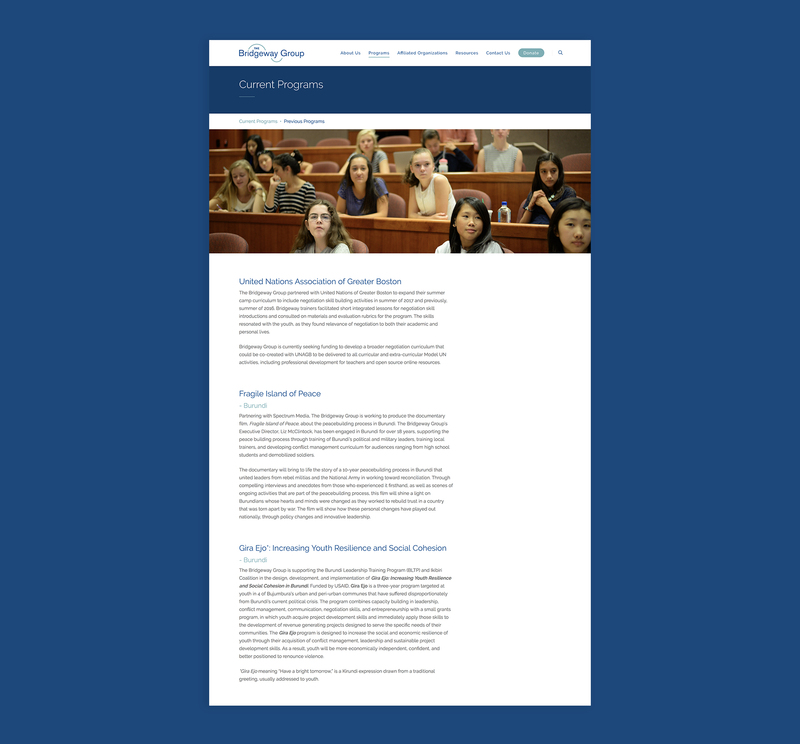 The Bridgeway Group has a number of webpages with long form copy. Optimal line length and leading ensures that users have an effortless time reading. Carefully crafted leading has been shown to increase a users comprehension. 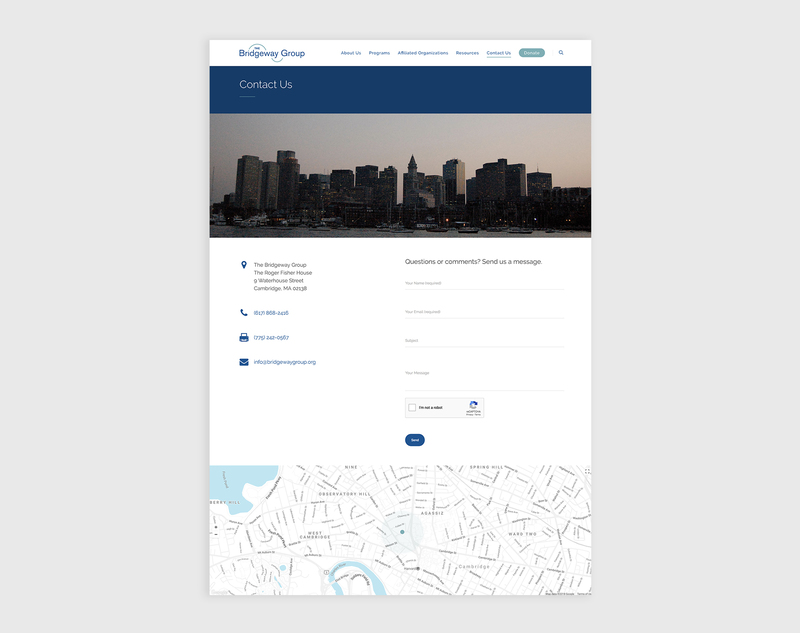 The Bridgeway Group has a fully responsive website that genuinely tells their story. The launch of their new website brought in greater traffic which helps them reach a broader audience. The increase in traffic has also helped bring in more donations.